A living will (aka advanced health care directive) is a legal document that a person uses to make known his or her wishes regarding life prolonging medical treatments. It can be referred to as an advance directive, health care directive, or a physician's directive. 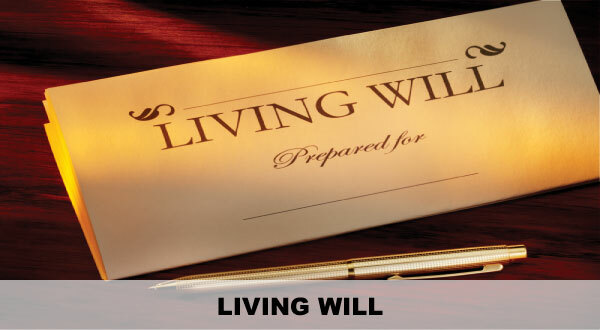 A living will should not be confused with a living trust, which is a mechanism for holding and distributing a person's assets to avoid probate. Living wills can contain a variety of choices as to the treatments or withholding of treatments you would like if you become unable to communicate them yourself. More specifically, your NJ living will states your desires regarding the provision, withholding or withdrawal of treatment to keep you alive as well as your provisions about painkillers. If you so choose, your living will can be as specific as stating whether or not you would or would not want the following treatments, under what conditions and for how long you would like the treatments. Possible treatments in your living will may include: dialysis, CPR, mechanical ventilation, nutritional and hydration assistance and resuscitation. Do I need a Living Will (Advanced Health Care Directive)? It is important to have a living will as it informs your health care providers and your family about your desires for medical treatment in the event you are not able to speak for yourself. A living will does not become effective until you are incapacitated (unable to speak for yourself). A certification from your doctor stating that you are incapacitated is also required for your living will to become effective. Choosing who will make your healthcare decisions is very important. You owe it to yourself and those you love to plan ahead and prepare a NJ living will. Contact an experienced Robbinsville, NJ living will attorney at Pinard Law, LLC without delay to ensure that your healthcare decisions will be taken care of in the event you are unable to speak for yourself.